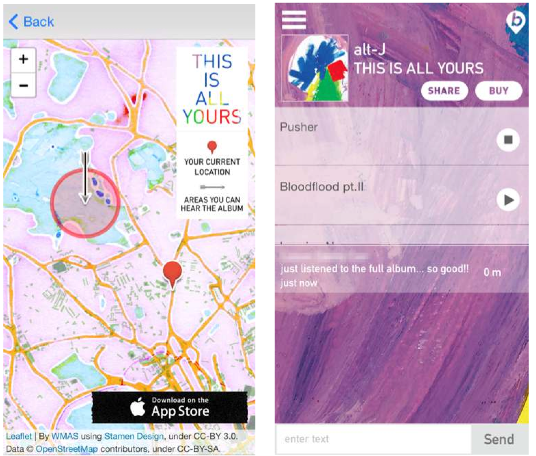 Alt-J have begun streaming their upcoming new album All This Is Yours through a new app. From today fans can download the This Is All Yours app for Android iPhones which will allow them to stream the album - but only in specific places. Once you've downloaded the app it will tell you where you can go to get the stream to work - selected parks and places of interest worldwide have been chosen. The app is not currently available in North America. You will be able to see where your nearest streaming location is and the app will notify you of new areas as they are added. You can also see the locations at altjband.com/map. This Is All Yours is released in the UK on 22 September and features the singles Every Other Freckle and Hunger Of The Pine.